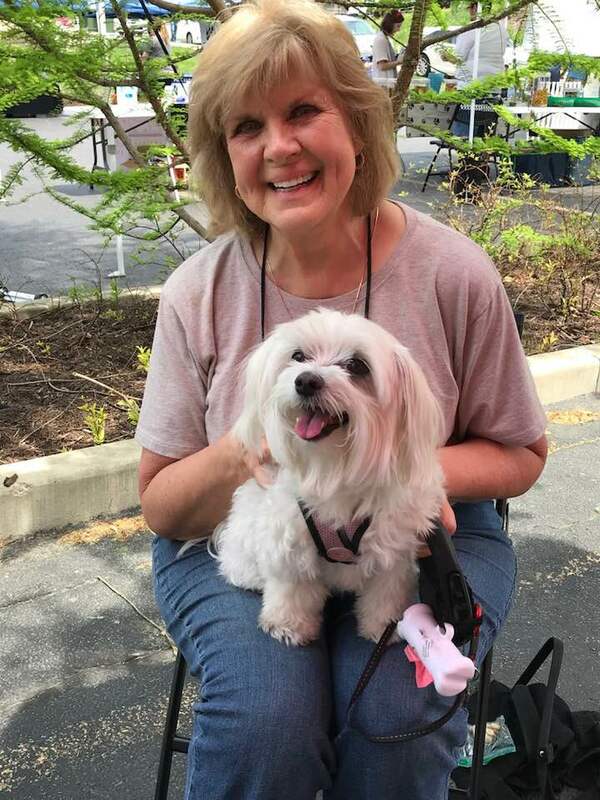 Click here for more Art, Bark, 'n Brew pictures! Poetry and music began together in oral performance and, at various periods, poetry and music have been presented together, most notably in the US by the Beat poets and their imitators, accompanied by bebop and cool jazz, from around 1948 until the early 60’s. Of the many things they were up to, the Beats wanted to make poetry sound like jazz and they did, but not usually to the benefit of the poetry, and frequently trivializing the jazz. For over ten years our project has been to find an alternative way to present poetry with jazz by not trying to make the poetry mimic jazz. Rather the goal has been to enhance the experience of the audience by using jazz to accompany the poetry, believing especially that oral performance of poetry can be more exciting and meaningful when combined with jazz accompaniment. The poetry is composed, and much of the music has been “worked out” by the poet and musicians in rehearsal beforehand, but during each performance there will be moments of improvisation and spontaneous exchange between the poet, the poems, and the musicians--and also among all of them. Bassist Lynn Colwell has been involved with music performance and education in Lafayette, IN since 1988. Prior to moving to the area, Colwell was a bandsman in the United States Marine Corps. In addition to his work with the Danny Weiss Group, Colwell has performed with the Lafayette Symphony Orchestra, Lafayette Citizens Band, the Tony Zamora Jazz Ensemble, the Emporium Dixieland Jazz Band, and Los Blancos Latin Jazz Band. Writer/Poet Don Seybold has been in the jazz scene in greater Lafayette since the mid 70’s when he began presenting jazz at a club in WL, then creating and hosting the Jazz Series for Purdue Convocations beginning in 1980, co-creating the Purdue January Jazz Fest in 1990, and co-founding the Lafayette Jazz Club in 2008. Since 1987 he has hosted a jazz radio program, which is currently heard on WBAA, Purdue’s NPR station. As a musician in Pittsburgh and NYC from 55- 62, he heard many Beat influenced poets performing jazz with poetry. In 2005, he began working with Danny’s group. Various issues emerged and began to intrigue us about the similarities and differences confronting artists working in different genres. We also found it fascinating and extraordinarily helpful to compare and contrast our individual responses to each other’s work, in terms of the interpretive and the aesthetic. Today’s presentation combines the experiences of both TAF projects, and the ongoing Jazz and Poetry Project, with the emphasis not so much on how art gets made but rather how it gets consumed—or more precisely—interpreted. Some of the poems will be from the TAF exhibits, as well as poems that I have composed since those experiences because of my continuing interest in—even obsession with—what goes on in the complex physical, mental, and emotional spaces when someone stands in front of a painting. This will be the very first time we will have created and presented this particular program. if that’s jeff’s painting is jeff that painting? The Art Museum partnered with the Discovering Art & Artists Interest Group of the Purdue Women's Club for a trip to ArtPrize in Grand Rapids, Michigan. ArtPrize® is an international art competition held in three square miles of downtown Grand Rapids. Over 1,500 international artists competed for prizes of more than $500,000! Two $200,000 grand prize awards were awarded. One decided by a jury and the other by popular vote. Transportation was by a luxury Miller Transportation motor coach, accomodations were at the heart of the ArtPrize venues--in the exquisite Amway Grand Plaza Hotel. Several of the entries were within the hotel with most others nearby. Travelers had Wednesday afternoon and all day Thursday to enjoy downtown Grand Rapids, the Gerald Ford Museum, the Grand Rapids Art Museum and tour all of the ArtPrize venues within walking distance. The Frank Lloyd Wright Meyer May Home restored to its 1916 condition by Steelcase Corp. was toured on Thursday Afternoon. Friday was spent at the fantastic Meijer Gardens and Sculpture Park with two galleries of the ArtPrize entries. Kendall Smith and Sharon Theobald led a cruise to downtown Indianapolis with Second Century Club members and Board of Director members where theyjoined Curator, Mark Ruschman at the Indiana State Museum for a special tour of 200 Years of Indiana Art: A Cultural Legacy and Indiana in 200 Objects. They then continued on to the Long-Sharp Gallery for a fine art experience at the Conrad Hotel. Hosted by the Director, Rhonda Long-Sharp, the experience included a chance to talk to our hostess and featured artist, Jason Myers. The community opened its heart and toasted the Art Museum at its seventh annual gala, "Heart of Art," on Valentine's Weekend 2016. Guests sipped LaLucca Prosecco and nibbled on appetizers while they perused the 77 items on auction and then filled 24 round tables of eight or 10 in two rooms in the Lafayette Country Club. Many of the 207 diners also went home with auction winnings that ranged from imaginative trip and dinner packages to art, jewelry, gourmet wines and golf. Wow! The Art Museum's trip to SOFA Chicago Friday, November 6, 2015 was amazing. The art was beautiful and unbelievably creative. SOFA stands for Sculpture, Objects, Functional Art and draws the best of the best from around the world. 22 life-sized animals sculpted from recycled materials, were featured summer long. "The Zoo" art is the work of artist Dale Teachout, a top finalist for the Grand Rapids Art Prize 2014. The sculptor, an assemblage artist from Battle Creek, Mich., currently works in Detroit. He formed the animals using reused plastic, metal, rubber and other materials rescued from landfills. Greater Lafayette was home to a menagerie of whimsical art during summer 2015. Sponsored by the Art Museum, 40 "Lions and Tigers and Bears, Oh My!" 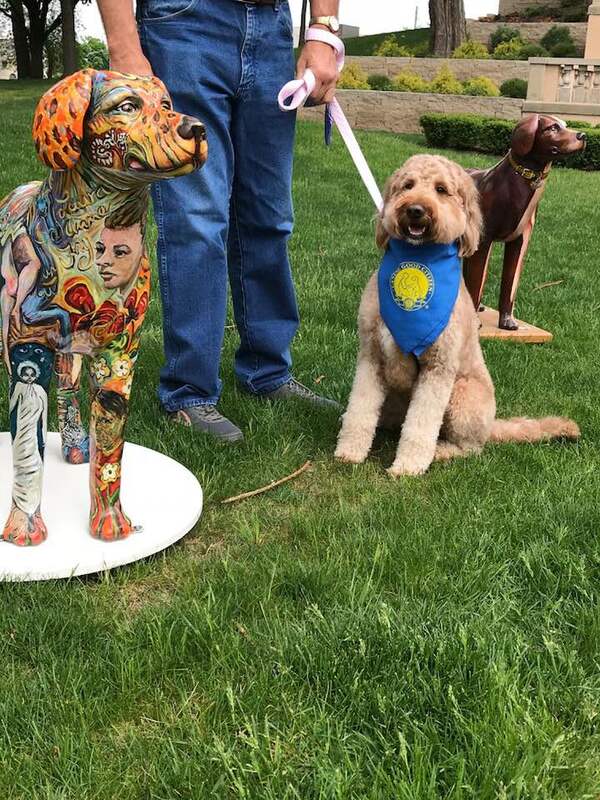 were painted by local artists and roamed from the 9th Street entrance to the Art Museum through the Downtown to the top of State Street hill in West Lafayette. The Art Museum of Greater Lafayette hosted an Art & Dine event at the museum from 5 to 8 pm. Throughout the evening, all were invited to walk through the museum’s exhibits and afterwards, patrons could pick up coupons to eat at Downtown Lafayette restaurants including Restauration, La Scala, and Sylvia’s Brick Oven. The coupons included vouchers for free appetizers, desserts and 20% discounts. There was also be a raffle held for a gift card to Red Seven. Tour guides were present throughout the evening to give guided tours and answer questions about the exhibitions. Thank you to everyone who attended! Rudy Pozzatti, an Indiana University Professor Emeritus, is skilled in many artistic mediums, but is best known as a master print maker. He thrilled the Art Museum with a surprise donation of a suite of lithographs titled, "The Twelve Labors of Hercules." An engaging speaker, he joined us for a public talk focusing on how his life experiences have impacted and shaped his career. A Duo concert by vocalist/songwriter Sabrina Lastman and pianist Jamie Newman presented contemporary jazz by North American and Latin American composers, including some of her own material and improvisations. Friday February 13, 2015 at Lafayette Country Club. with plates created by the Country Club Chef and presented by Anthony Cawdron. This event sold out again this year and the former Heart of Art fundraising record (set in 2014) was surpassed - again! A heartfelt 'Thank You!" goes out to everyone who donated auction items and everyone who attended the event. See you next year! The Art museum is partnered with the Purdue Women’s Club to offer a trip to the Grand Rapids, MI ArtPrize®, an independently organized international art competition held for 19 days in three square miles of downtown Grand Rapids. Art from around the world pops up in every part of the downtown.